Monitor & control your pump locations, lift stations, all the way up to complex treatment plant systems. Now with the Grinder Pump Guardian, you can use us to monitor your low-pressure sewer pumps as well. High Tide Technologies is tailor-made for the wastewater sector, and our hundreds of customers in the industry agree. 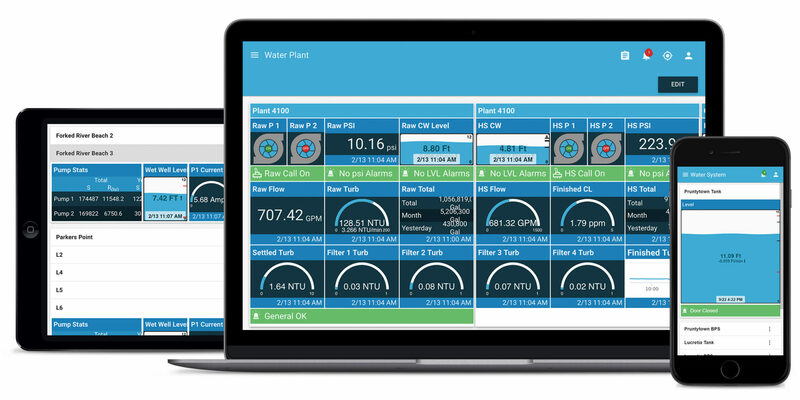 Our SCADA products and services are ideal for monitoring a wastewater treatment plant. The High Tide Technologies SCADA website features the latest technology to benefit our customers: two-stage user authentication, instant screen updates, responsive design to conform to any screen size, user-action auto-logging, and enhanced user-controlled configurations.